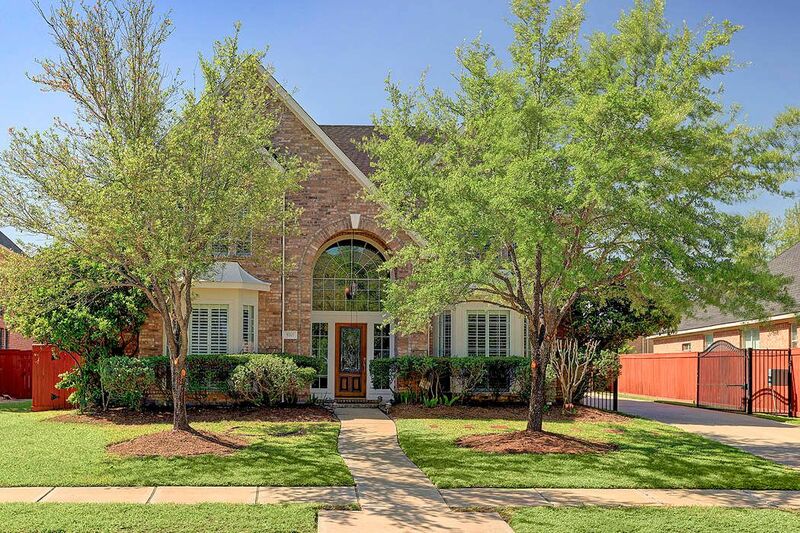 5707 Sapphire Vista Lane, Houston, TX 77041 | Martha Turner Sotheby's International Realty, Inc. Welcome to Lakes on Eldridge North! A premier gated community with 2 pools, clubhouse, exercise room and breathtaking walking trails around the lakes. 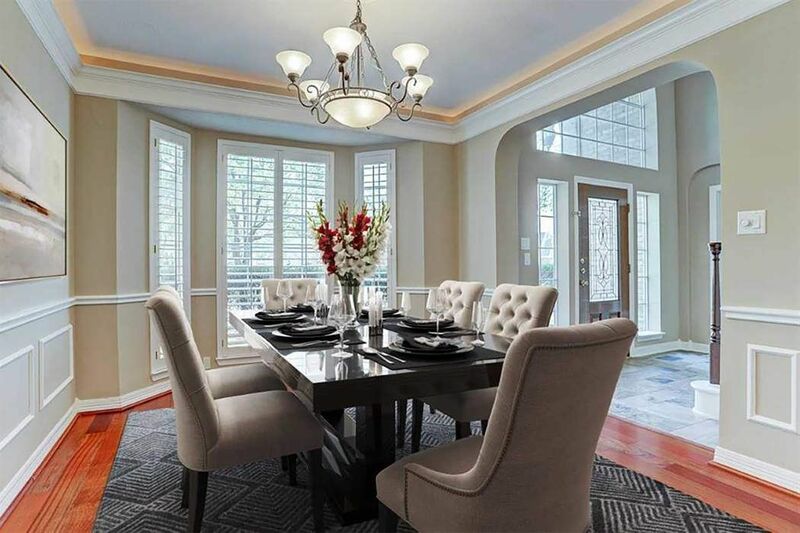 This popular Trendmaker home is located on a cul-de-sac. DINING ROOM - 12 X 11 - The Dining Room features gorgeous mahogany floors (installed 2007), plantation shutters, cove lighting, and neutral paint. STUDY - 15 X 12 - Oversize study, located downstairs, is very private with French doors and plantation shutters. FAMILY ROOM - 25 X 17 - View the light and bright Family Room which opens to the breakfast area, kitchen, and hall entry. Beautiful fireplace, built-ins and large windows. KITCHEN - 15 X 12 - Fabulous granite island Kitchen boasts stainless appliances. 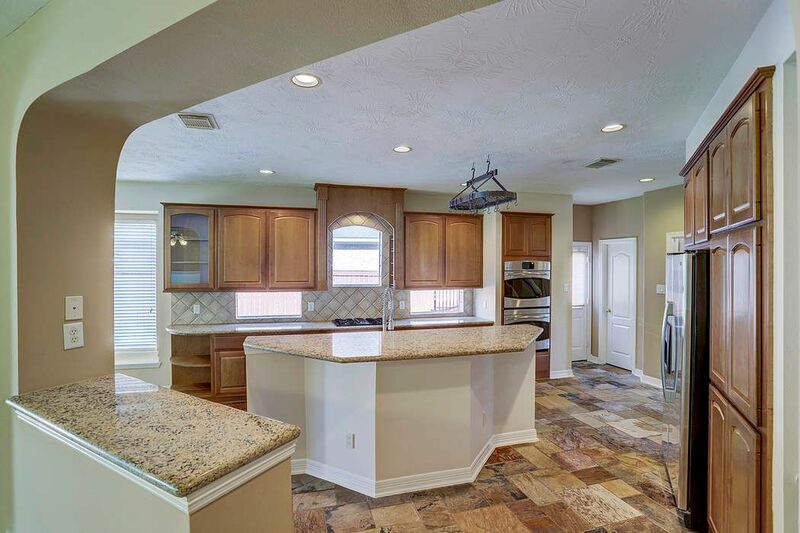 Large walk-in pantry, abundant counter space, storage, and breakfast bar. This Kitchen view allows you to see the upgraded maple cabinets, under-mount sink and recent double ovens (2008). 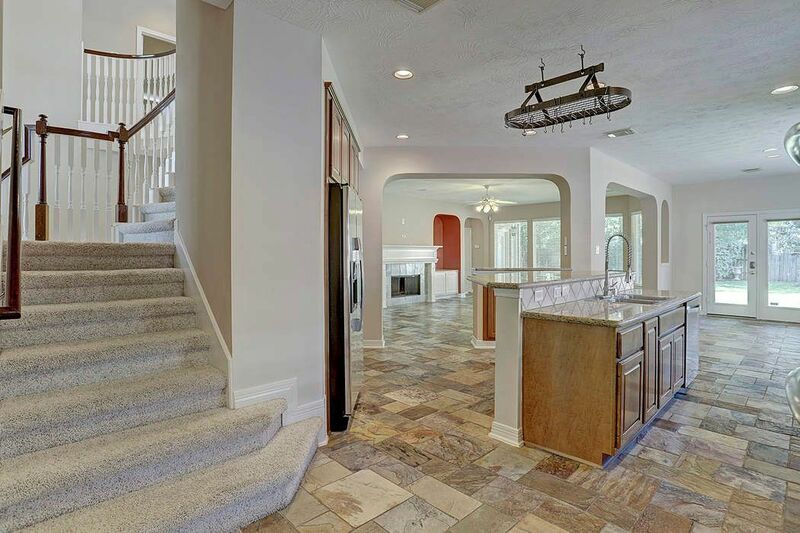 This Kitchen & Breakfast Area (16 x 10) view allows you to see the open floor plan and archways into the family room, along with the dual-staircase entry to second floor. 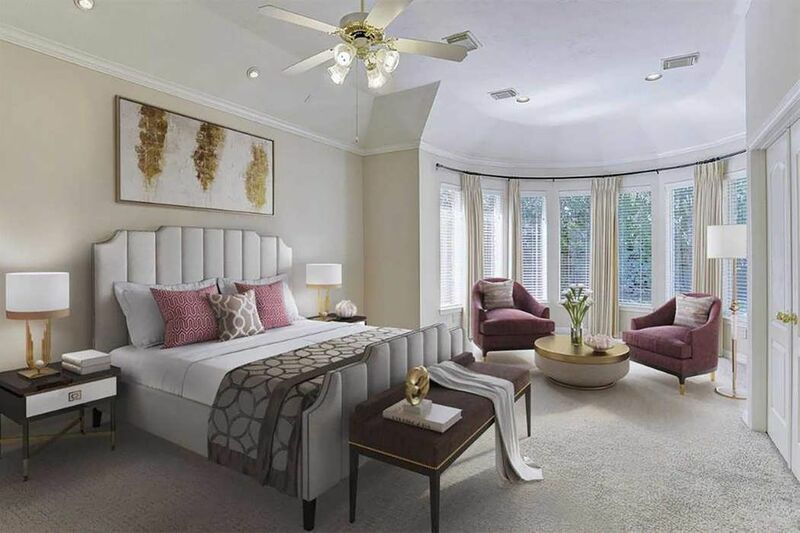 MASTER BEDROOM - 17 x 14 - The master bedroom offers a sitting area and beautiful bay of windows along with coffered ceilings. 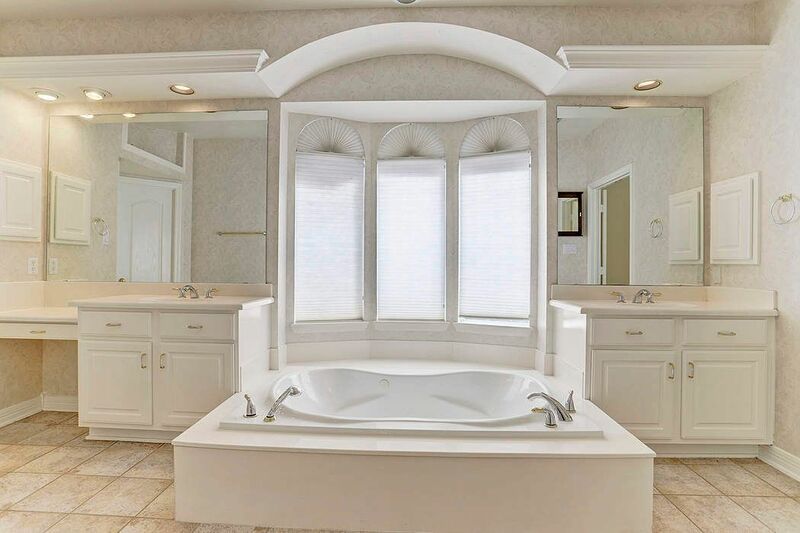 MASTER BATHROOM - Step into the luxurious Master Bath... whirlpool tub, his/her vanities and double sinks plus cove lighting. View of the Master Bathroom's wonderful double-headed oversized shower. 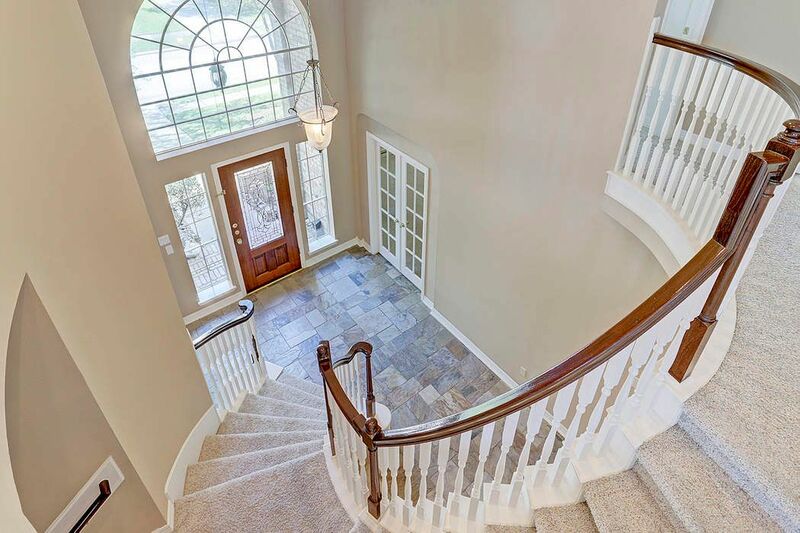 Elegant grand 2-story entry with sweeping staircase! 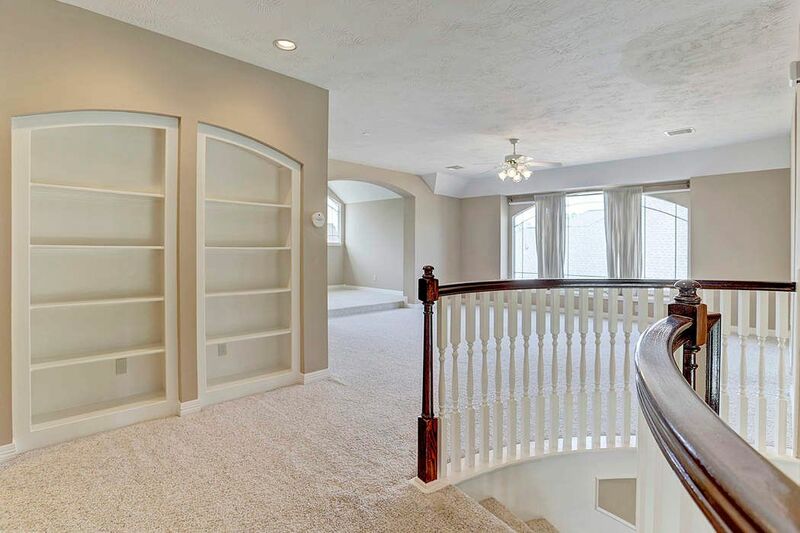 Abundant natural light through curved transom window above doorway - truly beautiful! 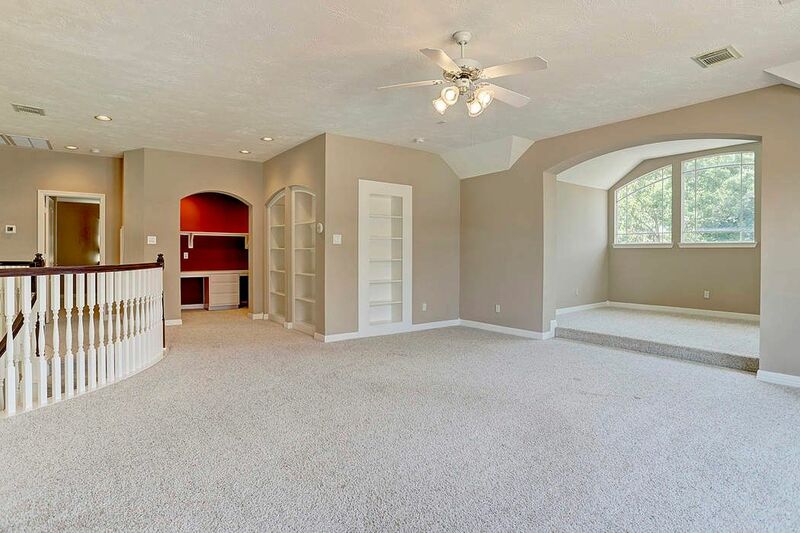 Second floor landing boasts custom built-in bookshelves. GAME ROOM - 19 X 18 - This large Game Room with step-up additional space for an exercise/workout area, is a perfect gathering/play space for the family! Also note the computer niche, designed for two users...or can be a second study! SECONDARY BEDROOM - 15 X 12 - SECOND FLOOR - The largest of the three secondary bedrooms! 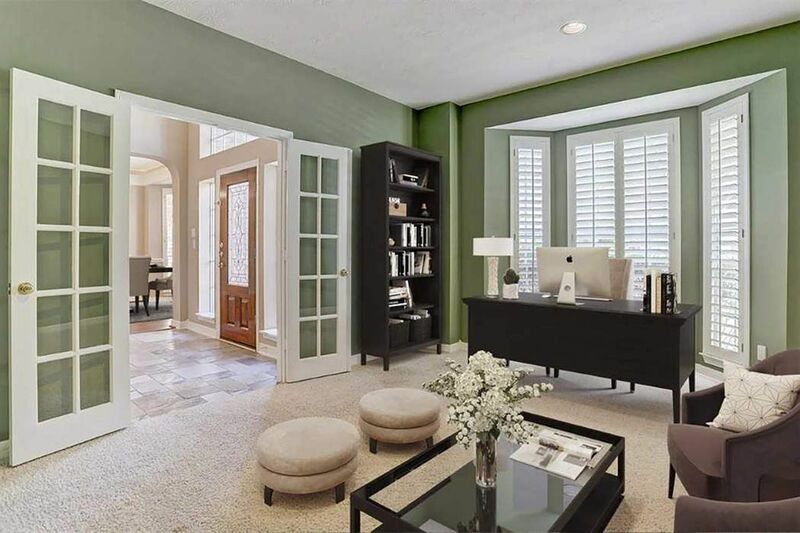 Has large picture window with plantation shutters, neutral carpet/paint, high ceiling and walk-in closet. 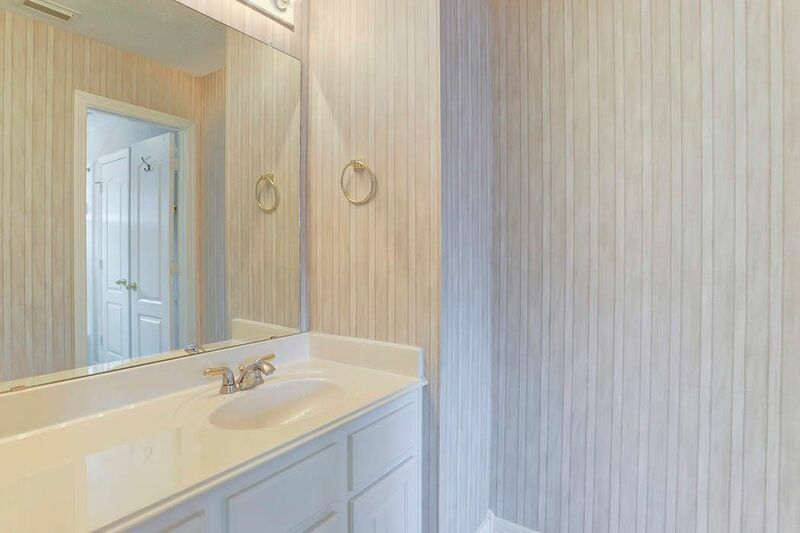 HOLLYWOOD BATHROOM - This bathroom features a tub/shower with tile surround, two separate sink areas, linen closet and cultured marble surfaces. SECONDARY BEDROOM - 12 X 12 - SECOND FLOOR- Adjacent secondary bedroom boasts large picture window with plantation shutters, neutral carpet/paint, high ceiling and double-door closet. ENSUITE BATHROOM - Bathroom features shower/tub with tile surround and cultured marble surfaces. 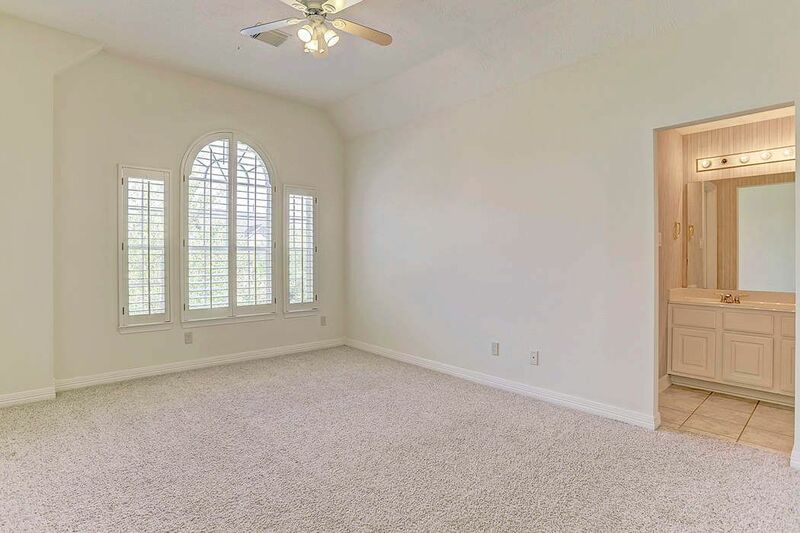 SECONDARY BEDROOM - 12 X 12 - SECOND FLOOR - Bedroom has neutral carpet/paint, large window with wood blinds and closet. 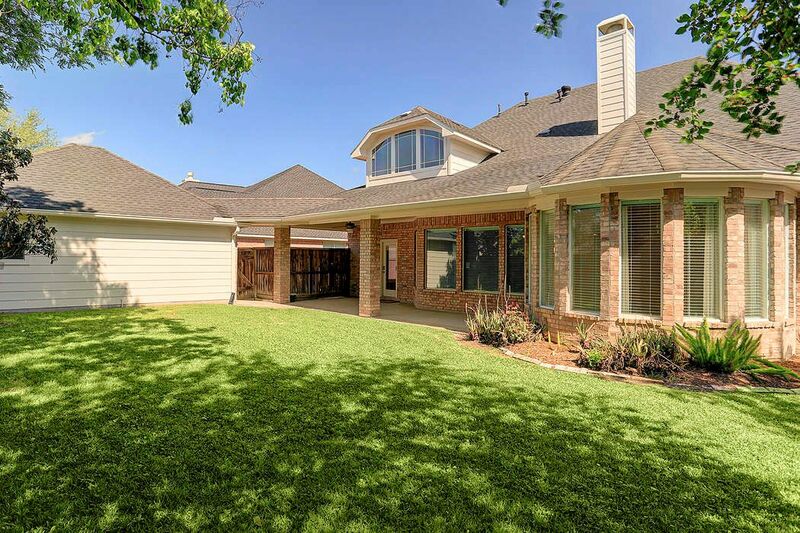 BACKYARD - Spacious covered patio provides nice shade w/dual fans during the warmer months in Houston! A perfect place for cookouts, parties, or eating outdoors. Large grassy backyard has a Kid Structure playset, a bonus for families with kids! View of the automatic gated driveway and detached two-car garage. 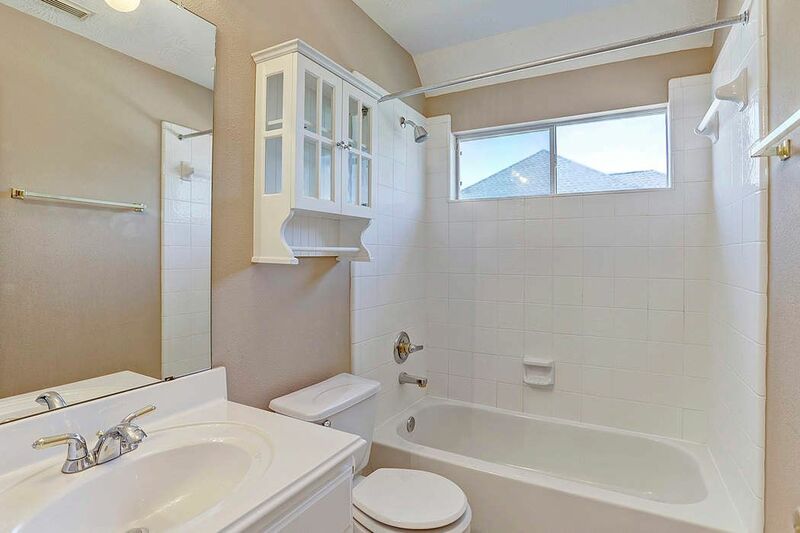 $469,900 4 Bedrooms3 Full / 1 Partial Baths4,435 sq. ft.
Beautiful brick traditional situated on a cul-de-sac with electric gate driveway. 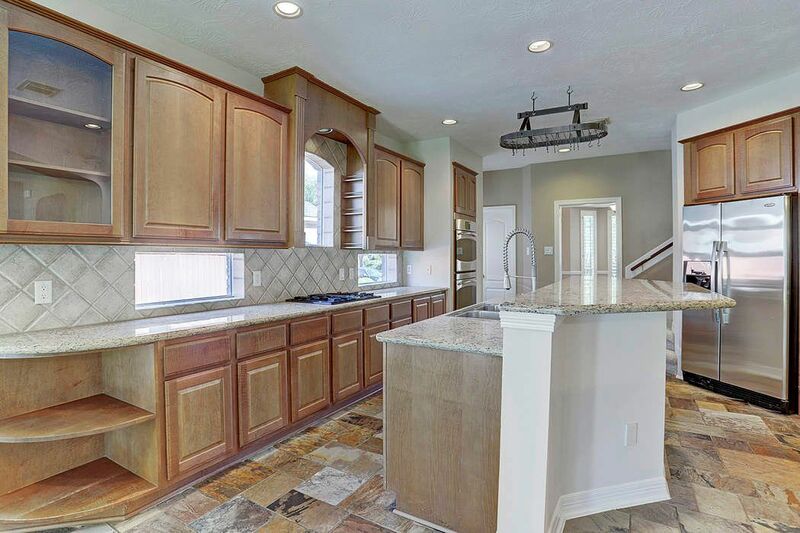 Fabulous granite island kitchen - stainless steel appliances - opens to spacious family room. 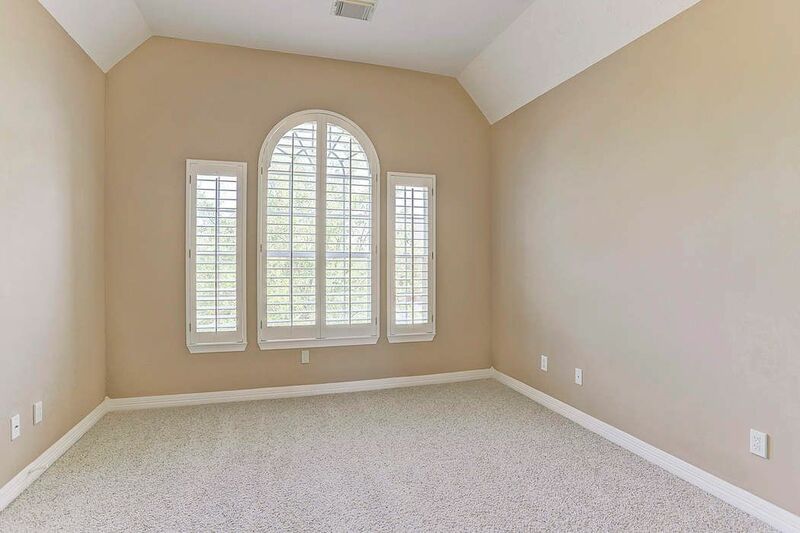 Large master down with sitting area and bay of windows looking to grassy backyard. French doors open to the study on first level. 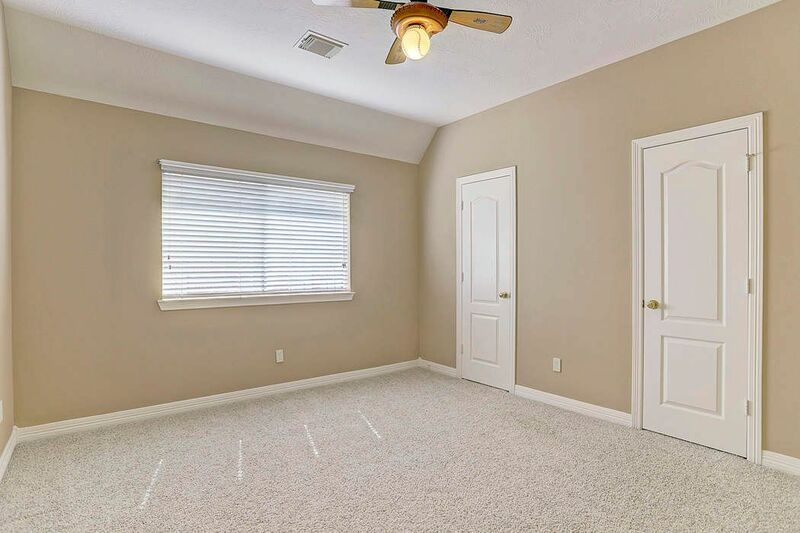 Three bedrooms up plus huge game room and additional flexible space for workout or hobby area. Mahogany hardwoods in dining room. Energy efficient ''tech shield'' and tinted west windows. 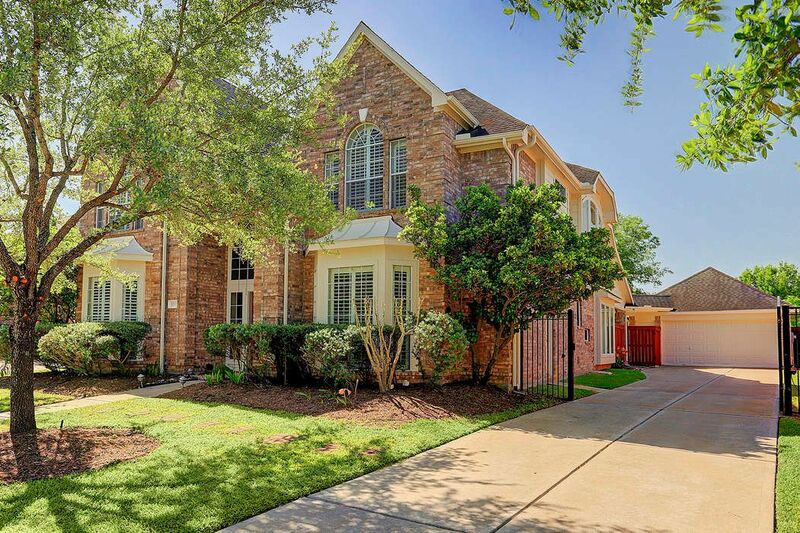 Lakes on Eldridge North is a premier gated community with two pools, clubhouse, exercise room and breathtaking walking trails around the lakes. 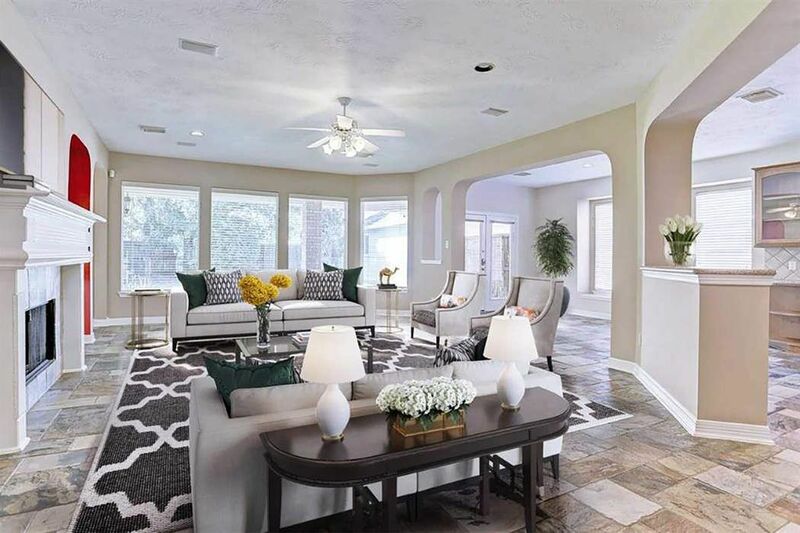 This popular Trendmaker home is a must see. Home shows well.